before the start of the school session/semester/whatever, your parents told you if you came home at the end of school year with low grades, they would start to consider not paying for your school fees anymore. Well, it's almost the end of the year and you are going home to show your parents your school report card with a D-, you know it's bad but you still believe you can grealty improve on it before the year runs out. In case you are wondering what this is all about, well, Nokia CEO is the boy and the board and/or investors are his parents and let's say the school year is the equivalent of a financial year. Nokia released their Q3 earnings, recorded an operating loss of $754million. They sold just 6.3million smartphones, 2.9million of which where Lumias (610, 700, 800 and 900) and that's a sharp drop from the 4million sold in the last quarter before that. This is obviously attributed to the news that current phones would not to upgraded to WP8. Even Symbian devices sold more than Lumias last quarter, deservedly so, at that point Symbian phones had more to offer than current Lumias. The Q3 financial report (which you can read in its entirety HERE) is again drawing a sh*t storm on just how well S.Elop is running the company. 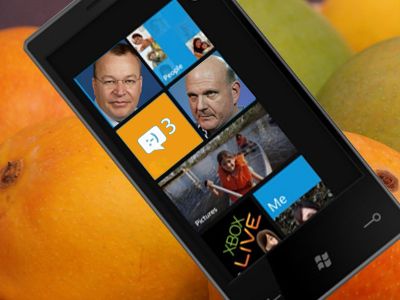 I am going to reserve my opinions until I see how the new WP8 Lumia phones do (after 2 quarters). I still think it's pre-mature to judge Elop's management. To be fair, we haven't seen the dividend behind the Nokia/Microsoft partnership, but we will in 10days. 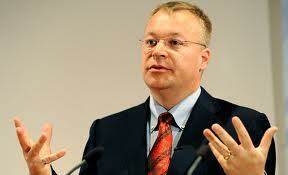 So is S.Elop's strategy the best? dumping MeeGo, outsourcing Symbian, putting all eggs in one basket with WP, putting the finnish HQ for sale. Many have even begun to draw the conclusion that there isn't a planB for Nokia should WP8 fail, which if true, is really troubling. So if you were CEO of Nokia, starting back in late 2010, would you have revamped the entire Symbian OS from the ground up to make it 100% touch? invested more in MeeGo? or adopted Android? what would have been your strategy in bringing Nokia up again? Nokia Lumia 920T shows up in pure white!